you’ll always have a story to tell. Combining a comfortable stay with a maritime feeling: it’s possible! Gently drifting on the water while having the same facilities and comforts as a conventional holiday home or hotel. So why not rent an authentic houseboat in Amsterdam’s city centre, or a refurbished barge in Paris with a view of the Eiffel tower? You will be surprised how many houseboats and floating homes are available worldwide, so take a look! Unravel the mystique around lighthouses while enjoying your holiday by renting amazing properties around the world! Sleeping inside a lighthouse or the keeper’s quarters will give you a unique off-grid feeling. Mostly built on isolated locations with incredible panoramic views, lighthouses offer a very special holiday experience. Some of the lighthouses are off duty and are completely refurbished into holiday homes. Others, however, are still active and you can be part of maritime history by assisting the lighthouse keeper. Check out our collection of amazing lighthouses on Bookalighthouse.com! Imagine yourself high in the trees, surrounded by the tranquility only nature can provide, while you enjoying your one-of-a-kind holiday? If this sounds at all appealing, maybe you should take look at our treehouses on Bookatreehouse.com. We are working steadily on selecting only the nicest treehouses around the globe, for you to book. Whether you are looking for an off-grid experience, or a luxurious vacation high in the trees, you will find a suitable property! Like to camp in the woods but don’t like setting up a tent? Like to sit by fire but don’t like cooking on it? Like the peace and quiet but don’t like an empty phone? Well, in that case we have the perfect solution: book one of the amazing glamping accommodations and experience next level camping. BookaGlamping.com offers off the grid accommodations – varying from yurts to tipi’s – with a service level that can compete with a 5-star hotel. Some of them even offer air conditioning and a hot-tub! We set up Booka.Rentals to create a listing overview of all niche rental accommodations on their own domain. So if you have a B&B you can list it here. If you have a Yoga Retreat list it here. If you have a haunted house, list it here. Oh and did i mention caves, bunkers or igloos? They can be listed too. Please help us grow the lists by adding any accommodation you know that fits one of the lists. We have 80 lists so you should be able to find a suitable location! 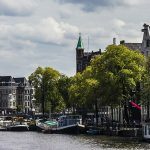 We are a small group of entrepreneurs located in Amsterdam, the Netherlands. Being the houseboat capital of the world, Amsterdam allowed us to become inspired by exceptional niches in the vacation rental market. We believe that the right accommodation adds something special to your holiday, so that you always have a story to tell. We would love to have a chat or share ideas, so please reach out if you have any questions! I consent to Booka - Places you didn't know you wanted to go collecting my details through this form.